SEAL-TIGHT® Activity (Energetic SEALTM) is a safe and sound, inexpensive protector for casts and bandages through recreational water pursuits or every day showering and bathing. Simple software gets rid of the have to have for pumps, hook & loop closures and adhesive tapes that could irritate skin. Designed of TPE, a superior effectiveness thermoplastic elastomer that stretches very easily, SEAL-TIGHT® Activity maintains a waterproof seal. Reusable and folds compactly. With standard treatment, lasts for 3 to 4 months of every day usage. May well be influenced by chemical compounds and warmth. 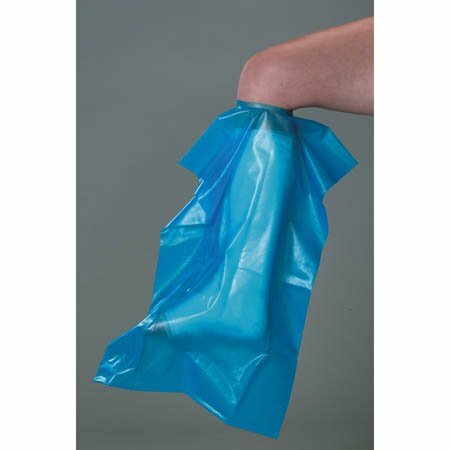 Use for swimming, water sports activities, whirlpools, sizzling tubs, showering or bathing to secure casts and bandages.